photo courtesy of Luke Hayne, one of my many muses! 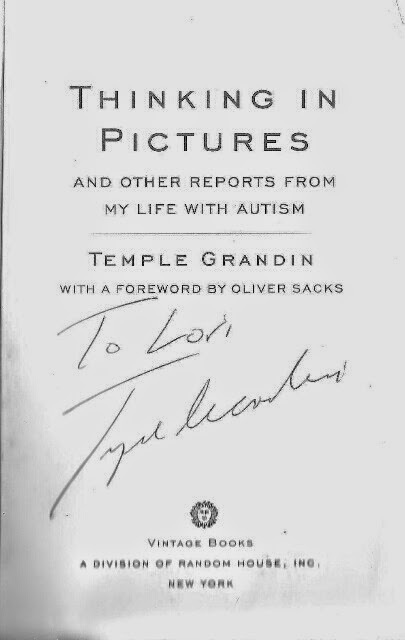 Way back when my own, now adult, children received their individual ASD diagnoses, there was precious little information out there. The Internet was in its infancy and so, to understand what AUTISM - a word I had only heard in Rainman and St Elsewhere- meant, I had to go to what was at the time a specialised, university run, psychological library ( I was young looking enough at the time to pass as a student- first time in my life I lied to 'authorities'). I was a techie. I had AOL and operated in DOS, heck I had used punch cards before I entered puberty. But still, with that, back then the The Internet was NOT an option for information. So the University it was. I SCOURED the DSM IV ET ALIA. I (and my children) encountered many , well, ummm, ok, yes, I'm going to say it, we encountered MANY ASSHOLES because the Internet was not as all encompassing as it is now. And people, and yes even PROFESSIONALS, were not as, ummmmm, AWARE, as they are now. Back then we at least had the EXCUSE that knowledge of autism was only in university libraries (and was pathetic at that). We didn't have the internet to provide us with information at a mouse click any time of day or night. So how did that leave us knowing MORE then we do now? And What IS the FIVE principle? Thanks to the internet, there is a LOT of knowledge out there, at just the click of a mouse. However, there is a lot of, let me coin a word here, there is a lot of MIS-knowledge out there as well. Twenty some odd years ago I had to wiggle (read LIE) my way into a university library just to understand what my sons' diagnoses meant. BUT at the same time I did not have to weed through a plethora of misinformation to get there. This is where the Internet fails us. There is not much about having an autistic child in the 90s and early 2000s that I would applaud (sociologically), but the LACK of immediate decimation of BS is something I truly miss. When my middle son was diagnosed, December 21, 1996, there were no services. No awareness. Doctors at world renowned hospitals were still telling me my child's autism was CAUSED by me not loving him. Because then people like Jenny McCarthy, Kerri Rivera and Jim Humble would come up top of the search list. And this would all happen while I was sitting in my pjs , sleep deprived, depressed, looking for ways to help my baby. INSTEAD, I was lucky enough, even though there were no services and we were abused daily by professionals and the general public alike, we were lucky enough to NOT have garbage over shadowing what I was researching in terms of my child. IF you are a parent of a newly diagnosed autistic child, the FIVE principle is likely the MOST important thing you will ever learn, and not something you are likely to ' GOOGLE'. Here are FIVE reasons to take the FIVE Principle to heart! #1 What is the FIVE principle? WELLLLLLLLLL, to be honest, it is a a term I coined myself, but not without considerable experience. Somewhere around the age of five children on the autistic spectrum -ANYWHERE on the spectrum, from ADD to Severe ASD with Severe Cognitive Delay and Severe Anxiety Disorder- somewhere around this age children go from being infants or toddlers to little children. This is the same developmental step allistic children take around 2 or 3. At this DEVELOPMENTAL age children begin to form a PERSONALITY. They are no longer a thing that needs our constant attention in order to survive. No longer a BABY. They are not a simple extension of US. They are, quite simply, themselves. An autistic child, regardless of ' level of functioning' (HATE THAT TERMINOLOGY) seems to hit that milestone 2 years later than allistic children. 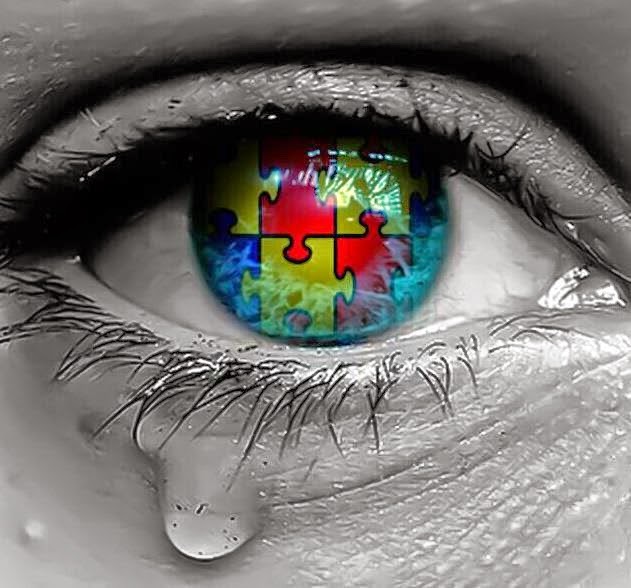 For the ASD parent, for 5 years, instead of just 2-3, you have had a symbiotic relationship with your child, A child who often cannot return that connection in a way YOU can comprehend (NEVER assume that your child is DISCONNECTED! They are simply speaking a language you have yet to learn). If your autistic child is making SOUNDS at 5, he or she is VERY likely to use spoken language at some point in their life. THEY will decide when that point is. But as a parent it is your responsibility to give them every opportunity to express themselves, and never doubt that they ARE communicating with you. If your child is NOT making sounds by age 5, they in all likelihood will not use traditional methods of communication. #5 Even if your child is classified as 'low functioning' (hate typing that phrase as much as I hate hearing it) and 'non-verbal' at 5, that does not mean they cannot understand what you , and others, are saying or that they are not communicating with you. If you were suddenly dropped into a community that did not speak your native tongue, would you be considered 'low-functioning', ie, lets say it, would you be considered STUPID or gasp, FEEBLE. People who cared about you would TRY to understand your method of communication and would try to help you translate that into THEIR method of communication. As you should with your child. The FIVE Principle simply reminds you NOT to deify any 'treatment' or therapy that cites changes at or around the five year mark. It also reminds you not to use as PROOF changes in your own child at or about the five year mark. But most importantly, the FIVE Principle reminds you to never, ever doubt that your child HAS developed at five. And will CONTINUE to develop. Your autistic child DOES develop, just like all other children. That development may just not occur in a LANGUAGE you recognise. Learn your child's language. remember that CHANGES happen, and they are not happening because you chose X therapy or Y diet. Thank you for sharing your insight through experience. I have thought this myself about my son that he is about two years behind typically developing kids. He is now five and what you say has been true for us. Whether X and Y therapies made an appreciable difference I can't say, but I do know I wouldn't not do the therapies because I would regret that more than trying them and maybe not get the results I had hoped for. Woman, you just cracked me up AND helped me out big time AT THE SAME TIME. Down with assholes and ignorance. Up with whine and rosay!